During my investigation into the bankruptcy courts that began when I was researching the General Motors and Delphi bankruptcies during the 2012 election season, I learned something very interesting. Bankruptcy courts, and in particular the Southern District of New York courts, are hurting a lot of common Americans while, at the same time, making New York investment bankers and their highly paid lawyers very rich. They have been quietly helping President Obama fulfill one of his early campaign promises to use the bankruptcy courts to redistribute wealth in this country. In an article that appeared on June 12 in BankruptcyLawReview.com I found some explanation of this and an illustration of how this could directly impact you and your personal financial future. Bankruptcy law seems to allow for standards that are more loosely constructed than what you might expect in other courts of law. You end up with lawyers being very "creative" in their efforts to grab money. One of the newer creative processes is the practice of filing vexatious "clawback" lawsuits against common shareholders with no direct responsibility for a company's operations or financial stability. How does this affect you? Do you invest in your company's 401K program? Do you buy shares of stock through mutual funds? Or how about direct stock purchases? Should you be concerned about these clawback suits? Could you get sued for simply investing in and owning stock? 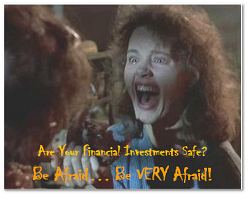 To quote Gina Davis's character Veronica Quaife in the 1986 horror movie, The Fly, "Be Afraid... Be VERY Afraid!" Clawback suits came into play in the cases of the Chapter 11 bankruptcies of the Chicago Tribune and LyondellBasell. Lawyers for the unsecured creditors, in an effort to obtain more cash for their clients, began attacking common shareholders in an attempt to hold them personally liable for "fraudulant transfer." Shareholders are normally protected from these kinds of frivolous lawsuits under the safe harbor provisions of bankruptcy laws according to the article in Bankruptcy Law Review. The article states these types of claims are "exceptionally unusual" according to Stephen Selbst, Chair of the bankruptcy section of the New York Law Firm, Herrick Feinstein. Our lawyers typically win with strategies others either don’t imagine, won’t consider, or can’t execute. Brown Rudnick is particularly well known for its powerhouse litigation capabilities which usually motivate our adversaries to consider more efficient consensual resolutions. One thing is clear, these lawyers have no reservations about coming after you and your money... by any means necessary. But then, they couldn't get away with this if Judge Robert Gerber would simply do his job and make a ruling in the motions for dismissal that have been left pending in his court for years. These lingering lawsuits not only clog the court's dockets, adding more cost to the financially strapped bankruptcy courts, but they also cause stockholders like you to have to continue spending money on lawyers to protect themselves from the unscrupulous actions allowed by these courts. There is an expression in Texas, made famous by the Pace Picante Sauce Company from San Antonio, about things that come out of New York City. As the cowpoke sitting around the campfire says in the commercial in the following video, "New York City... GET A ROPE!" I am sure that is how many of these shareholders, now the victims of these lawsuits and Gerber's lack of supervision, must feel after years of being dragged through the gauntlet of our bankruptcy court system for something they didn't do and had no control over or impact on. The Bankruptcy Law Review article included some comments from victimized shareholders. One of them, a 79-year-old retiree who invested in Lyondell stock, Dr. David Leshner, was shocked to find out that, as a common shareholder, he was not protected by the law in this case. He asked, "Whose fault is it that the economy went bad?" and expressed dismay about the case being dragged along by Judge Gerber's failure to make a timely ruling. Mark Lies, a Chicago Tribune shareholder from Colorado, found himself dragged into court in the Tribune case. He openly accused Brown Rudnick and the bankruptcy judge of mindless, unprincipled, and malicious misuse of the bankruptcy process against shareholders. He says the bankruptcy courts seem to have no adult supervision, an expression I have heard myself at the bankruptcy conferences I have attended. Judge Gerber walks around these conferences like some kind of little god with his minions following him around like pilot fish. Wouldn't it be nice, if instead of his pontifications of redistributing wealth, getting creditors paid and putting people back to work, he would just do the job a judge is supposed to do - fairly, consistently and equally apply the law and make his rulings in a timely manner? A judge is supposed to be an umpire, not a social worker!